College grad job search, where do I start? Congratulations! You just graduated or are getting ready to graduate. 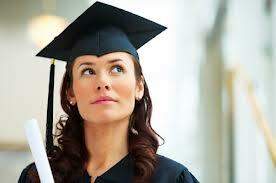 If you are getting ready to graduate from school, you cannot start your job search early enough. Whether you have 1 month or 9 months before you graduate, START PREPARING FOR YOUR JOB SEARCH NOW! The time you invest now will ONLY make your future job search more effective. If you still have a few years before you graduate, it’s never too early. The work you do now to prepare for the job hunt will help you find your future part-time jobs, summer jobs, and internships. It is not a question of “if” this young professional will be a CEO someday, but more of a question of “when” will she be a CEO (or whatever she wants to be). In 6 years when this student graduates from college, she is going to be one well-connected up and comer with an amazing network. Remember 20 years ago when young people who were only interested in computer games or Dungeons and Dragons were looked at like social misfits? Most of these nerds are now computer programmers making a tidy living and happily employed in a very tough economy. They now play WoW or Halo in their spare time and some of these nerds CREATED these gajillion dollar grossing games. What I am trying to say is that it is NEVER too early to start investing in your career and you shouldn’t be embarrassed if you are the only one of within your peer group that is getting ready. I see too many college graduates fall into one of two categories when it comes to the job search. Recent grads wait until they are one month away from graduation before they start preparing for their job search, or they realize 3 months after they graduate that they are not in Kansas anymore. Although you can wake up tomorrow, pull up the Craigslist jobs section and start applying for new positions, one day of prep is the LEAST effective way to go about your job search. A job search is not something you can cram for at the last-minute like pulling an all-nighter for the big final. Don’t worry, I am not just fired up, I am going to do something about it. A quick example of what a job search takes. I have a friend and colleague that is currently in the process of applying for a position with a large technology company. She is currently well employed, so isn’t working from a position of defense. She sent me a picture which shows the research and notes she put together for an INITIAL PHONE interview. There were 18 pages of paper printed out and neatly hung in the room of her little kids’ nursery. The papers included: charts, graphs, presentations, and stuff I couldn’t even comprehend. Yes, this is the work she did for just the first PHONE interview and I could totally picture her in front of this encyclopedia of information while she took the call. You will be happy to know that she did get an in-person interview from the phone interview and is in the middle of the interview process. There is a reason the saying “looking for a job is a full-time job” is so true. Whoever hires you will be buying a product worth 1000’s of dollars a year. That product is your skill set so it should be shiny (dressed well), have the right marketing message (cover letter and resume), a proven track record (your answers to the interview questions) and hopefully plenty of references (a LinkedIn Profile with endorsements, connections, and personal recommendations). No, I do not have stock in LinkedIn, I just know how important it is to the job search. I started this blog to deliver the hard truth that will help candidates land jobs and there is no easy way to say this. Every year, I interview plenty of college graduates and it is painfully obvious the colleges are not preparing students for the job hunt. Recent graduates are not taking advantage of the resources that I know are out there. For the most part, watching college graduates interviewing for their first job is like watching sheep to the slaughter. Unfortunately, it is me that is the one screaming in agony after listening to the interview answers. Most candidates come in so unprepared; they don’t even realize how poorly they represent themselves. I understand that doing anything the first time can be awkward and unfamiliar. But there is a difference between a candidate that doesn’t know what to expect and a candidate that comes in so unprepared that I think I am being Punked and find myself wondering if Ashton Kutcher is going to come busting through the door with a gaff, boom mikes, and cameras. I make adjustments in my expectations for inexperience but have a hard time excusing a candidate coming in unprepared. Even if you only have 1 month before you graduate, start prepping for your job search NOW. This is the sharpening of the ax before chopping down the tree. Sighting of the rifle before pulling the trigger. Picking out the right shoes and handbag for the big party! So, check it out or pass the link to the young person in your life, but please start prepping now.